* Don't buy anything until you come to the club and get advise from senior club members. Doncaster Aeromodellers' Club represents a group of modellers committed to safe and enjoyable pursuit of their hobby. 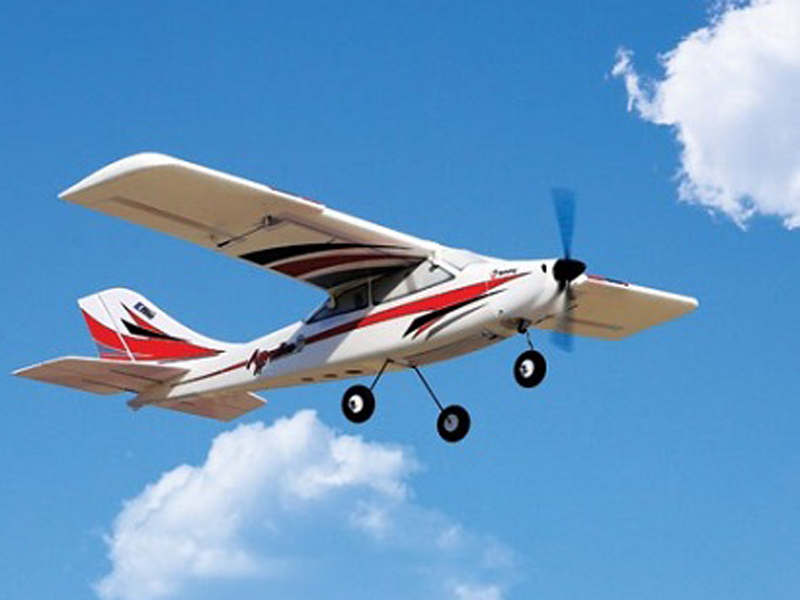 As part of this, they are also committed to ensuring all newcomers to the club (or those returning to the hobby after a lengthy absence) undergo comprehensive training and pass a formal 'Solo' test before they are allowed to fly at the field unsupervised. This training covers not only the ability to fly a model, but also the disciplines of preparing and ensuring a model is suitable to fly, and required in using radio control equipment. Once you have built or assembled the model, and assuming it is a suitable trainee model, it will typically take an hour or so checking and verifying the setup and airworthiness of the model before flying. It will then take between 5 and 10 hours flight time spread over 10 to 20 weeks to obtain your Solo rating - with the time depending on the rate of learning and prevailing weather conditions! The Club relies on the services (and time) of a number of experienced pilots as authorised Trainers and Instructors to provide flight training, and currently chooses not to charge for the service. Given these pilots are freely giving of their time, and also like flying their own models, their available time is limited. Left - Alex Zattelman and Michael Best, Saturday afternoon MAAA Authorised Instructors. The radio equipment must meet MAAA and DAC requirements. A trip to the flying field on Saturday afternoon and discussion with one of the current instructors will quickly bring you up to speed on what to look for. Alternatively, some retailers are also experienced modellers and will help you assemble and setup models bought from them. We endeavour to educate retailers to sell appropriate equipment and help you assemble it correctly - but we do not have control over this and any issues are between yourself and the retailer. And while the designated instructors will take all due care in preparing your model for flight and assisting you with flight training, and very rarely have incidents, neither they nor the Club take responsibility for any damage that may occur to the model during flight training. We usually use 'buddy boxes' for training and generally train people as Mode 1 flyers, but do have an experienced Mode 2 instructor available. For further information on the hobby, flight training, MAAA approved radio, safety and other important issues please browse the rest of this website. 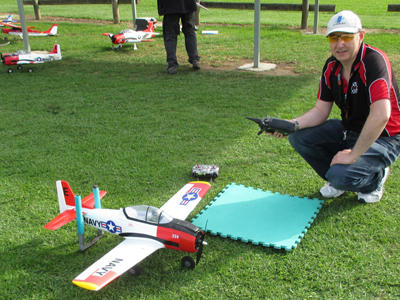 To find other clubs who may be more convenient, or have greater flight training capacity, visit the VMAA web site at www.vmaa.com.au. Lessons one to four are ground based theory lessons, and five to ten are the practical (flying) lessons. There are always exceptions or instructor preferences which are taken into account. The key factor is what will work for the student. All lessons, and associated teaching points, will need to be covered at some stage during the Basic Pilot's Course before the Bronze Wings test. Details of MAAA training lessons here. Having a trainer aircraft that is properly prepared and equipped with a buddy box is essential for delivering these lessons. 2.4GHz (MAAA Approved), Mode 1, buddy cable compatible with DAC flying instructors, and full range receiver. Minimum requirement for flying solo at DAC. * Beginners shopping list print and bring it to the club Saturday afternoon. At DAC majority of Instructors and members fly using Mode 1 (throttle on the right) and a minority who usually fly helicopters fly with Mode 2 (throttle on the left). No RC transmitter mode is better or worse than another one, but there are pros and cons to each setup. Take Mode 1 for example; the two primary controls (elevator & ailerons) are on separate sticks. This is good because if you move each control independently then there is no chance of you inadvertently changing one while moving the other (a very common mistake made by beginners). But Mode 2 has both these primary controls on the same stick which replicates the joystick, or yoke, of a real airplane, making the control of your RC plane more true to life. But remember both your feet are on the ground and not actually in the cockpit with just a thump on the joystick. So, would you want reality or totally separated control over the two primary controls? Also consider the pros and cons when training with a instructor (being compatible) and in the future when wanting help setting up and maidening your new model plane. Flying-Model-Simulator (FMS) is freeware, and available for download here. You can connect your transmitter to the computers audio input (e.g. Microphone socket) using SmartPropoPlus software and audio cable, or purchase a FMS interface cable from you local hobby shop. ClearView is a "real life" simulation of electric and gas RC helicopters, including TRex 450, Blade CX, CP and CP Pro, Hone Bee, Raptor 60 and 90 and many others. 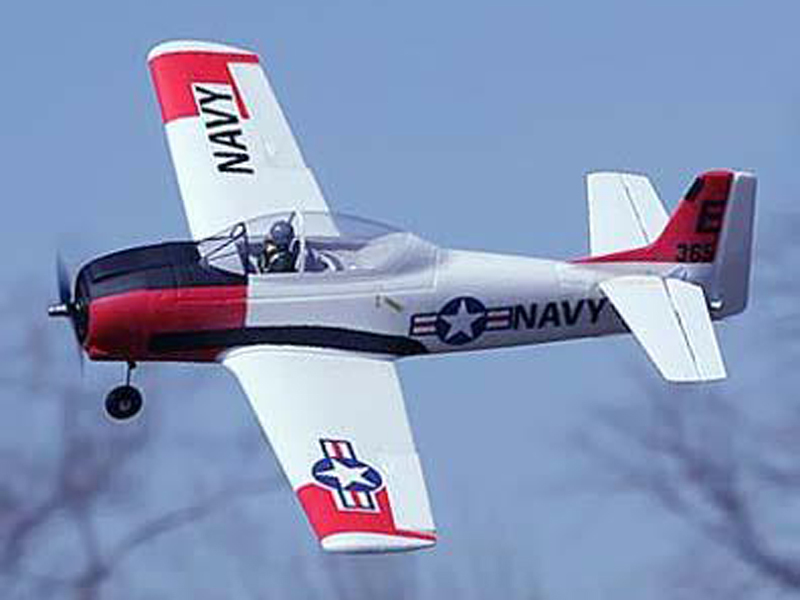 The RC planes range from light weight electric "Shockflier", to 100 size 4 stroke aerobatic Pitts Special to turbine driven F15 Eagle and F-16 Fighting Falcon. Available for download here. Both Rick and I (Graham) would like to send out a hearty thanks to both Alex and Michael from the bottom of our hearts for their time endured training us over the last few years. We have enjoyed and look forward to each Saturday’s training, have had some great laughs, great times and met some great people. Both Alex and Michael have always been eager to share their knowledge and have been extremely patient with both of us. Hip Hip Hooray! They even braved Melbourne’s worst weather in decades to come down specifically to test us both for our Bronze Wings. Now that’s dedication. That was one of many great days we certainly won’t forget. They are certainly an asset to the Club. We will miss having them standing by our side out there after all this time but certainly do look forward to many more interesting conversations to come and there is still much more to learn. And thanks to all DAC Members for making this an interesting and fun Club to attend and be a part of. I would like to give a big thanks to DAC and its ongoing commitment to training new pilots like myself. On Saturday’s, both Alex and Michael show their commitment and passion for the hobby, time and time again. My god they both work very hard. Personally I would like to send a very big thanks to Michael (My Teacher). Having worked with Education Software around the globe I’ve seen many different Teaching models and structures both at the K12 and University levels and some work and some don’t. In my opinion, Michael’s does. 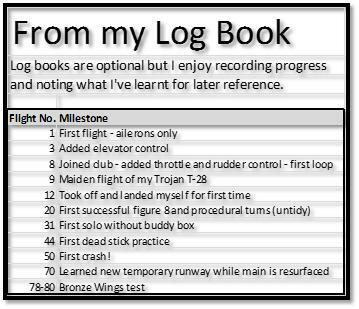 I’ve found Michael’s approach to his learning structure to be invaluable to us new pilots. Safety, how planes work, how Airfields operate and how to control the plane through the gates rather than it control us. How to look at wind directions to take into account when flying the circuit and keeping within the boundaries. This gives us new pilots a goal. A known level of expectation. I know what Michael wants to see. I just need my thumbs to see that too and do it :-) Getting there. White marking the field and witches hats really helps show where everything is, where you’re meant to be and more so for safety, where you’re not meant to be. Also makes me feel like I’m flying at the airport which makes it great fun too. I didn’t really get it at first when I started as most people I was all, “Let me at it”. I soon realised this level of learning was and is, going to make us newbies, much better pilots in the long run. He makes it easy (with his persistence) for all this knowledge to become second nature and certainly an enjoyable experience to us new pilots. Even when I make a mistake, Michael always has a positive word of encouragement, always manages a smile and still believes in me. Even when my confidence levels drop. Not sure I would have that level of patience but I’m so glad he does. You guys have thought of everything to welcome new pilots, teach them the way that will stick with them for a very long time and above all, make it a joy to learn, discover, make new friends and fly every week. I feel like I’m writing Michael a letter of recommendation but seriously, I can’t thank him enough for everything he has done to teach me and I’m so glad I found “Doncaster Aeromodelers Club”. 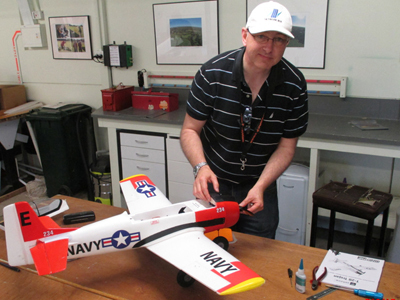 Learning to fly an RC plane is a bit like learning to drive a car. It can be daunting at first, requires a lot of practice and there are consequences if you crash. However, once you’ve learnt the basics it is very rewarding and the sky is literally the limit in terms of how far you can go within the hobby. There is the satisfaction of learning new manoeuvres, the enjoyment of building a kit, the fun of adding to your plane collection (some might say addiction) and the camaraderie of your local club. If you are interested in competition there are many different types including: fun fly events, scale, aerobatic, pylon racing and more. I have driven RC cars competitively for many years but my forays into RC planes always ended with a quick trip to the “scene of the accident” at my local park. After wasting a lot of money trying to teach myself to fly over the years a friend suggested I visit my local flying field which is Doncaster Aeromodellers Club (DAC). I was surprised to learn that if I bought my own equipment and joined the club that a licenced instructor would teach me to fly for free. So this is the story of that journey. I went to the club one Saturday afternoon in January 2016 and everyone was very friendly. I was introduced to the resident instructors Michael and Alex and was asked if I’d like to have a go. You bet I would! So after a brief introduction to the flying field and boundaries Michael and I set off for the flight line with Michael’s Trojan T-28 trainer and two radio transmitters. One for me and one for Michael. This is called “buddy boxing” and means that the instructor has control of the aircraft normally but if he presses and holds down a button then the student has control. On my first flight Michael took off and demonstrated flying the plane in the circuit. After asking if I was ready he pressed and held a button on his radio and I then had the ability to turn the plane left and right using the ailerons. Michael retained all other controls so that I could concentrate on just turning and getting a feel for the plane. A couple of times I got into trouble and Michael simply released the button on his radio and regained complete control, put the plane back on course and, after asking if I was ready, gave me control again. After 6 minutes Michael took control and landed the plane. I had a big smile on my face. What a brilliant system! I could learn at my own pace with very little risk of crashing the plane. I had a second flight that day and went away to consider whether I’d found a new hobby. 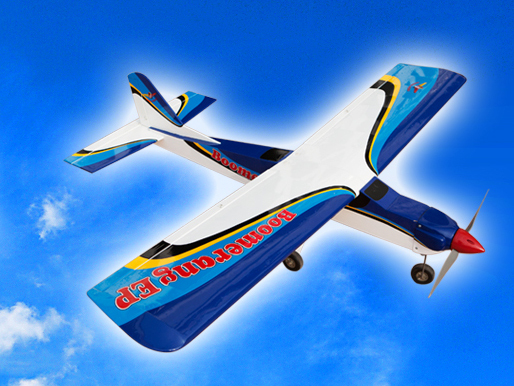 DAC encourage you to try flying on 3 different days before deciding whether the hobby is for you. It is completely free to this point with no obligation. So one week later I was back to try it again. This time Michael gave me elevator control as well as ailerons. The elevator changes the pitch of the model pointing the nose towards the sky or towards the ground. By using some up elevator in the turns you can stop the plane from losing height when turning. You can also turn tighter by using more up elevator. This was all new to me and Michael had to take over a few times while I struggled with the combination of ailerons and elevator. Unfortunately I had to leave after only one flight but I was seriously thinking that this might be for me. The question is could I do actually do it as it seemed quite difficult so far. I decided to splash out $40 on eBay for a cheap controller and flight simulator to see whether with more practice I might stand a chance of being able to do this. It’s worth noting that the club has a very good simulator but my couple of tries on that ended up with a crashed plane. I thought that if I could sit down at home I might have a better shot at keeping it in the air by myself. The courier knocked on my door a few days later and I eagerly installed the software and plugged the controller in to the PC’s USB port. It’s worth noting that radio transmitters come in different configurations called “modes”. DAC recommends Mode 1 for planes where the left joystick controls elevator and rudder while the right joystick controls throttle and ailerons. So I’d bought a Mode 1 controller with the simulator. I found the simulator a challenge. The software wasn’t very good and it was difficult to see the plane once it had taken off. After about an hour of take offs followed by crashing at some point I changed the viewpoint to above and behind the plane and from there I could actually fly the plane reasonably well. I even managed to land it. At that point I decided that while flying an RC plane is difficult I had proved I could do it when slightly above and behind the plane. Now I just had to translate that to standing on the ground. So I decided to invest the money in my new hobby. Back to DAC at the end of January and I had 3 flights that day, taking my total to 6. At the end of the day Michael asked me whether I’d like to join and I confirmed that I would. As previously mentioned DAC provides 3 free days of instruction. At that point if you wish to continue you must join the club. This sounded very reasonable at the time and still does. What other RC hobby can you try before you buy? Particularly one which has the potential to end up in a tree while using someone else’s plane! So I submitted my membership application which was accepted after being approved by the club’s committee. Michael provided a list of club recommended equipment and between flights I’d been picking the brains of other members on which radio transmitter to buy. My membership was accepted within a couple of days and so I was off to my local hobby shop. They had everything in stock and I staggered home under the bulk of large shiny new boxes. The first order of business was to install the Phoenix Flight Simulator which was a massive step forward on my eBay simulator. I also now had a shiny new Spektrum radio which also felt a lot better to use. The simulator came with a cable that connected the PC to my radio. 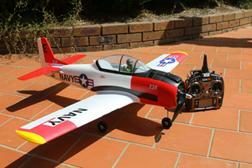 The club recommended the E-Flite Trojan T-28 aircraft which is exactly what I bought. The Phoenix simulator allows you to fly a number of different planes including the Trojan. This was important as all planes have their own flight characteristics so being able to practice on the simulator with the same plane I use in real life was a big help. You can also download the DAC airfield imagery from the DAC website which allows you to practice as close to the real thing as possible. I found it very handy to set the simulator to always keep the ground in view (so I didn’t get disoriented) and to turn on Binoculars so I could see a close up representation of the model at the bottom of the screen (so that when the plane was far away I could glance at the binoculars view to see which way it is facing if I wasn’t sure). Now I didn’t want my plane to look the same as the other Trojan’s at the club so some new paint was in order. I liked the look of the stock red and white paint scheme but I thought I could improve on it somewhat. I wasn’t going to rush the paintjob so my next club day I went without my own plane and Michael was happy for me to use his plane to continue my training. The Trojan T-28 takes about an hour to fit the wheels, screw on the wing and install and setup a Spektrum receiver with ASX stability control. I was a little frustrated to learn that it wasn’t possible to turn on the stability control in the ASX receiver without a $40 cable – sold separately. However, Michael was happy for me to use his cable for the initial setup. In addition to painting the model I also used black packing tape to add stripes to the bottom of the fuselage to make it easier to tell when I was looking at the bottom of the plane from a distance. Adding larger diameter wheels improved the planes ground handling. Taxiing through grass with the stock wheels often led to the nose wheel digging in and flipping the plane onto the propeller. So on my 4th club day I was still using Michael’s plane but he now gave me all the controls. Throttle, ailerons, elevator and rudder. I ignored rudder (except when taxiing where it provides steering on the ground) and concentrated on the other controls which I had been using in the simulator. At this stage I was presented with my membership card and an information packet and I was officially a member. That day I tried my first landing approach (messy – and without actually landing), my first taxi and even my first loop. I left that day with a large grin on my face! On February 13 I took my Trojan to DAC and Michael gave it its maiden flight. Making sure everything was working as expected before passing control to me. A week later on my 12th flight I took off and landed myself for the first time. I also tried procedural turns and figure eights for the first time which I found quite challenging. So how long does it take to get your Bronze Wings and why does it matter? Without Bronze Wings you can’t fly by yourself at the club and you can’t visit other clubs and fly at their airfield either. How long it takes depends on the individual and how much time and effort they invest. The good news is it’s not a race and there’s no time limit. Some people may take a year or more. Others might achieve it within a few months. I decided early on that Bronze Wings was a priority for me and so I went to the club every Saturday to fly and used my simulator for hours at the start and settled down to about 30 minutes per week as I progressed. During March I continued to make about three 8 minute flights every Saturday afternoon. Two months on since joining the club and I’d clocked up 25 flights. At this point I felt fairly comfortable with taking off, flying the circuit and landing. On April 2 on my 28th flight Michael took me off the buddy box. If I got into trouble Michael no longer had a radio with which to fix it. I took off, completed one circuit and landed – all with no safety net. It was an incredible feeling to fly “solo” for the first time and my smile was very wide indeed! The next Saturday I was back on the buddy box for the first flight (so I could get my eye back in after a week away) and then off the buddy box for the rest of the day. 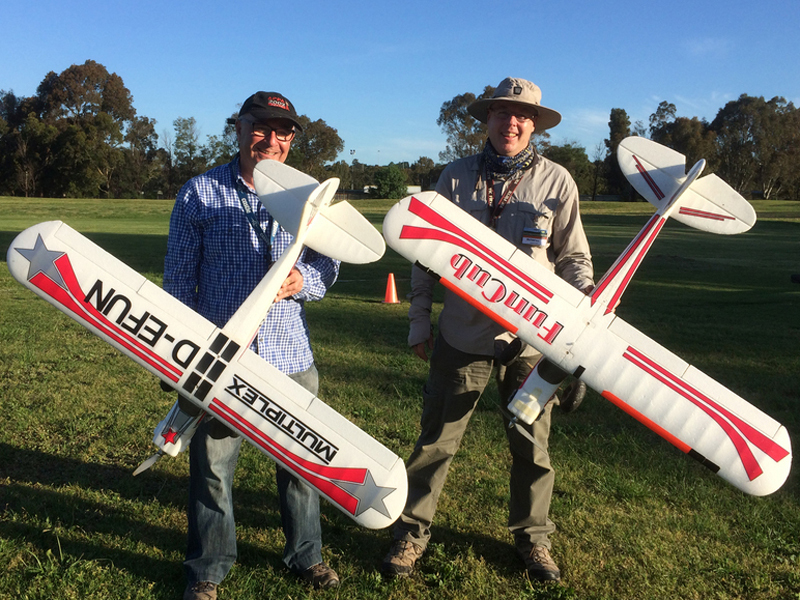 On April 16 I took off for my 34th flight with Michael and the buddy box. Michael then arranged for a senior member to stand with me for my next few flights. The number of flights per afternoon was typically 3-4 because Michael was also busy training others and everyone had to wait their turn. Because I’d demonstrated that I could identify when I was doing something wrong, and correct it myself, I could now have a senior member stand with me and provide advice. I’d now fly with Michael about every 3rd flight. This meant I could get 6-7 flights in per afternoon instead of 3-4. I was now flying with the ASX stability mode turned off and practicing dead stick landings and by April 23 was up to my 46th flight. At DAC we normally fly left hand circuits which means you take off to the South and keep turning left until you’re back over the runway. On my 47th flight the wind was blowing from the other direction so for the first time I took off to the North and flew a right hand circuit. Because the flying field is very tight, lined with trees and not rectangular, landing to the North is quite a different experience but after a few flights I felt that I’d managed to get the hang of it. Up until now everything had been going very well. I’d been improving fairly constantly and the worst that had happened was a slightly heavy landing. So when I turned up for my 50th flight in early May I was full of confidence. We were flying right hand circuits again because of the wind and Michael asked if I’d like to go on the buddy box for my first flight on the day. I didn’t give it a moments thought before deciding that I’d be fine without the buddy box. Even though I hadn’t flown for a week and had only 3 flights experience in right hand circuits. You can probably see where this is going and you’d be right. I came in to land and a gust of wind caught me about 2m off the ground, I gave the wrong control inputs and the plane nosed into the ground. My beautiful plane was in three pieces and I felt rather silly. Everyone rallied round and gave advice on putting the plane back together. I was sceptical that it could be repaired as the nose had been torn right off the fuselage and the wing had come off in addition to other minor damage. But I was surprised how easy a foam plane is to repair and after a lot of repairs and some touched up paint I was back at the field the following Saturday having spent just $10 on parts (a new front cowl). After a crash the plane is treated as if it has never flown before and everything is checked for airworthiness. The plane passed with flying colours and Michael took the plane back up to test its flight characteristics which were also fine. It was another very windy day on right hand circuits and I grabbed that buddy box life line with both hands! 20 May and 11 flights following the crash and I my confidence was restored. Unfortunately Michael would be overseas for the next 5 weeks and I’d be flying with others. This actually worked out well as everyone I flew with had some advice that I learned from. 2 July was the big day - Michael was back from overseas and would assess me for my Bronze Wings. Taking off, flying the circuit, landing, procedural turns, figure eights (all in both directions) and dead stick landings (simulating a battery or motor failure). 3 flights later and a 40 minute verbal test on flight theory, aircraft setup and club safety rules and I was awarded the long awaited Bronze Wings. Achieving Bronze Wings took 5 months of flying almost every Saturday afternoon. I can now fly by myself. At the same time I recognise that the journey is just beginning as there is so much fun to look forward to. Honing the skills I’ve learnt so far, learning new manoeuvres, perhaps a new plane once I’ve learned all I can with the faithful Trojan and there’s a fun fly event coming up. More than enough for now. Later on Silver Wings and Gold Wings may beckon, who knows. So from joining the club until achieving Bronze Wings took me 5 months – is that some sort of benchmark? Nope! This was my journey and I’ve recorded it in the hope of encouraging others. But everyone will have their own journey. How long it takes depends on how much time you commit to practice, previous experience, natural ability, age (younger people may pick it up more quickly), whether life gets in the way, and the rules at your club. But every journey starts with a first step so check out your local club and go from there. I’d like to thank the DAC club and in particular the instructors Michael Best and Alex Zattelman as well as all the members who stood with me and provided encouragement and advice.